Migration is at full flow here in the Bow Valley, and naturally the robins are beginning to form worms. I caught this young bird at a bridge in Larch, part of a 50 strong flock. 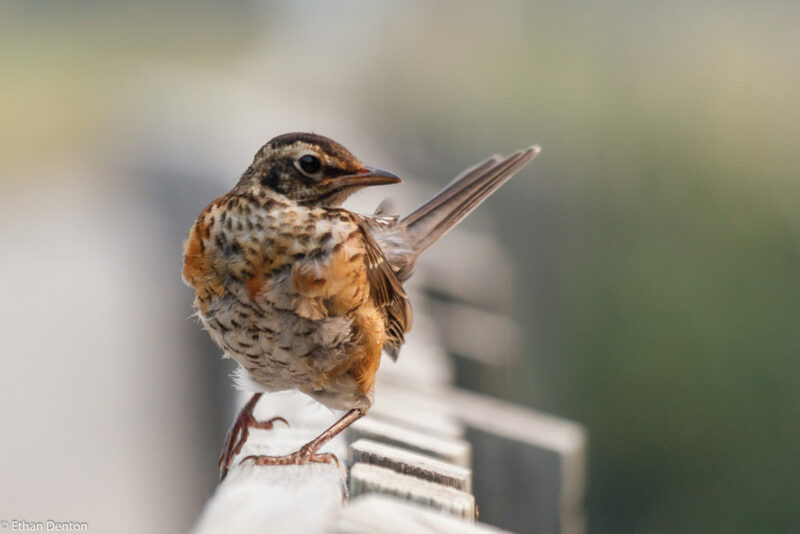 This entry was posted in Birds, Feathers on Friday, Passerines on August 24, 2018 by BirdBoy. I did not know that, thank you! ;D How peculiar. What does it mean when robins form worms? It is the technical term for a flock of Robins, like a gaggle of geese, murder of crows, squabble of sparrows, siege of bitterns, etc.